Gives brass and woodwind players freedom to move! The Nady MicroMHT-16X Horn Wireless System includes the MH-16 Saxophone (Horn) Instrument Transmitter and the MRX-16 Instrument Receiver. The Nady MH-16 Saxophone (Horn) Instrument Transmitter features high-performance microphone with tight cardioid polar pattern and wide frequency response to suppress unwanted feedback. This miniature, lightweight transmitter clips directly onto bell of horn. No cord connection needed. A protective rubberized clamp-on device easily locks transmitter firmly to horn. 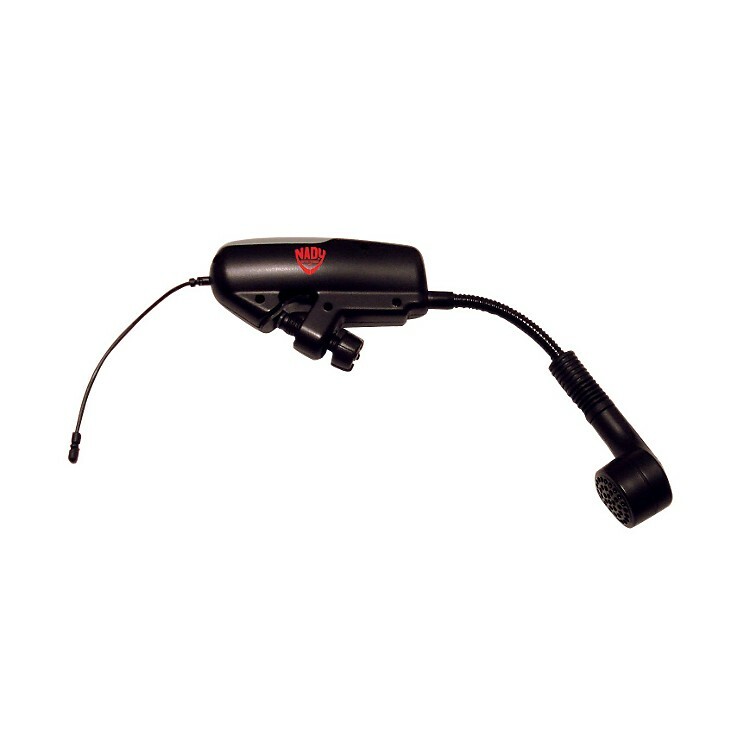 The flexible gooseneck allows optimum microphone positioning. The Nady MRX-16 Instrument Receiver offers unprecedented wireless portability and can be placed anywhere you choose. It has 16 user-selectable UHF frequencies for interference-free operation and features a ¼ plug for connecting receiver to powered speaker, mixer, or audio amplifier. The MRX-16 has an line-of-sight operating range of up to 250 ft. The ASC (Auto-Sync Channel) infrared wireless download pairs transmitter to selected receiver frequency for quick, easy setup. Powered by single AA battery or AC adapter (supplied). Take your performances to the next level.